Sometimes simple really is best. 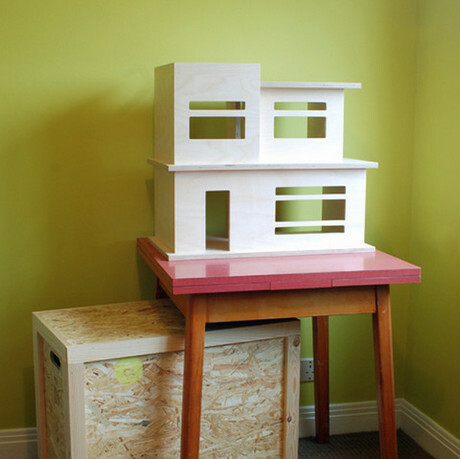 Here’s a modern doll house sure to please the most exacting among us. English husband and wife design team Baines & Fricker are the brains behind this lovely doll house with simple good looks. Constructed from birch plywod, its strength is in its simplicity – big enough to house lots of different kinds of toys, and without any fussiness or frills to dictate how it should be played with. 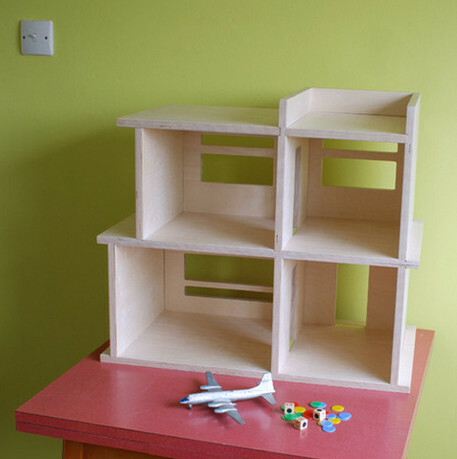 It’s the kind of doll house that doesn’t scream “GIRLS ONLY!” – which is so often difficult for parents of boys to find. I can imagine it being used in creative play by children of all ages and stages. Not just a house, but also a shop front, or a garage, or a studio. Interested? Each one is made to order, so there is a two to four week wait before your doll house is delivered in its own bespoke packing crate. You’ll find it at Baines & Fricker for £300. Contact them for specific international shipping rates. If you love all things doll houses, check out our previous posts on doll houses and miniatures.